The cloud music revolution has started and the options just keep growing and growing. First to market was actually Sony with its Qriocity Music Unlimited service, which had a rolling launch from December 2010 to February 2011 in various countries. But, the first in the news was Amazon with their Cloud Drive and Cloud Player in March, followed soon after by Google Music in May. All of these services allowed users to store their personal music collection on cloud servers and stream that music to a variety of devices (the lack of this latter feature is why Apple's iCloud will not be mentioned in this article.) 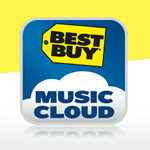 Now, Best Buy wants to get into the game as well, and has done a soft-launch of their competing Cloud Music service. The Best Buy Music Cloud is just a soft-launch, so it is still buggy, and has limited features. The service most closely resembles Google Music in that it offers online storage for your local music collection and streaming of that music, but does not connect to a music store in any way. This means you will have to upload your collection, which could take a long time depending on how much music you have. It also allows for syncing, so you can listen to certain music even if you don't have an Internet connection. Best Buy is offering a free version which allows use of the Web player, but not mobile streaming. The free version also apparently only lets users listen to 30-second clips of their own music. In order to hear your full songs and use the mobile apps, it will cost $3.99/month for the premium package. No word yet on any storage limits for either the free or premium packages. The service is available on Mac, PC, iOS, BlackBerry, and Android. Unfortunately, the iOS version doesn't support premium features as yet. As stated above, this is just a soft-launch so expect Best Buy to add features and clean up the problems as we go along.